For Dorin Negrau, the only way to fully understand the potential of a silhouette and the way it moves is to drape directly onto the body. 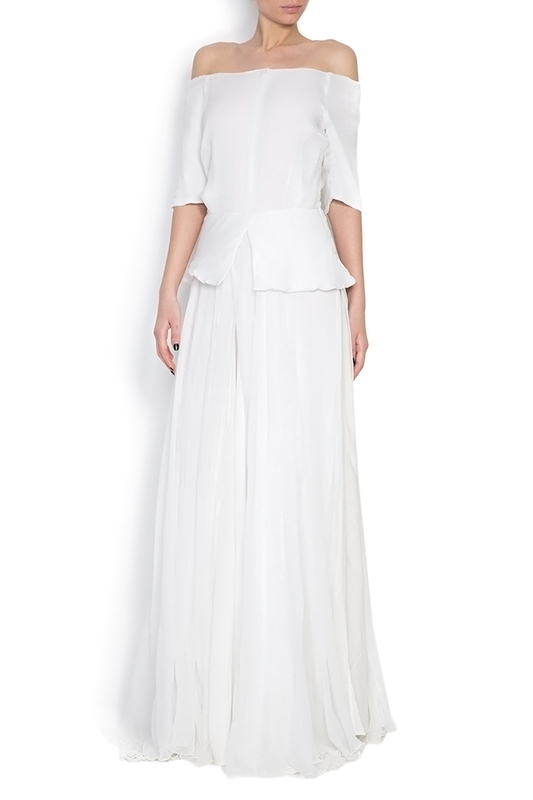 This 'Artemis' gown is crafted from psilk-mousseline and peplum waist and emphasizes your décolletage and waist. We think it's the perfect choice for brides seeking something a little more boho for their special day.